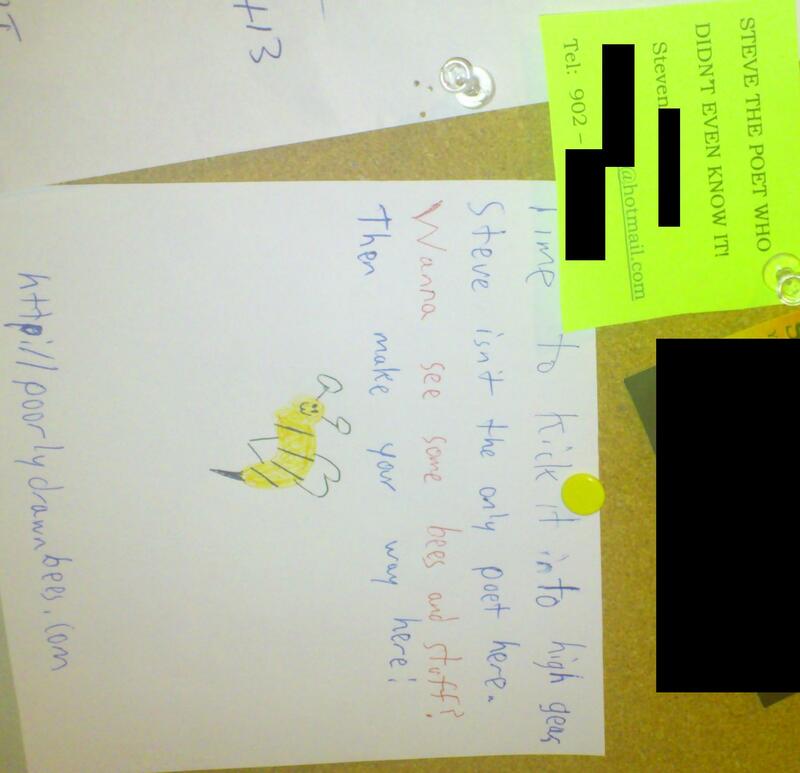 So this is on the bulletin board of my apartment building. It’s on. This entry was posted in Bees!, Blog, Blogging and tagged 2012, apartment, Art, blog, blogging, pic, picture, poem, poet, poetry. Bookmark the permalink. I’ve been unemployed for five hours and I’m already bored enough to make a list of the games I beat for the first time in 2012. Round 2 of the poetry battle in my lobby. Not sure what I’m up against here.